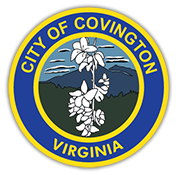 Covington City residents will have the opportunity to dispose of unwanted items through the City’s Spring Clean Up to be held the weeks of April 22, 2019 through May 3, 2019. Your spring clean-up items will be picked up on your regular refuse collections day. Please note: If your items are not out on your designated clean-up day we will not be able to return due to time restrictions. The City will only pick up articles placed at the resident’s property line (either at the front roadway or at the alleyway). The Clean up DOES NOT include commercial or contractors who have debris. Residents are advised to keep white goods (stoves, refrigerators, etc.) & tires separated from other disposed of articles. Tires on rims will not be accepted. There will be a limit of 6 tires per resident. “NO WHOLE TREES WILL BE ACCEPTED.” One (1) truck load per household will be strictly enforced. The City will be divided into East and West sections using the CSX Railroad Tracks as the dividing line during the two (2) weeks clean up. WEEK OF APRIL 22, THRU APRIL 26, 2019 – EAST SIDE OF RAILROAD TRACKS. Area #1. Beginning at the northern City limits of Dry Run over to Cypress Street including Augusta St. and High Acres Mobile Park and all streets in Dry Run below N. Alleghany to General Chemical Corporation. Area #2. Beginning at Cypress St. over to E. Hawthorne St.
Area #3. From E Hawthorne St. down to the streets of Fitzgerald & Stuple Lane. Area #4. Sunset Hill, Mercer St. and Lincoln Ave.
Area #5. Altamont, Fairlawn, S. Carpenter Dr., Mallow Road and Virjesmar Heights. WEEK OF April 29, THRU MAY 3, 2019 – WEST SIDE OF RAILROAD TRACKS. Area #6. Beginning at N. Short St., all of Downtown Area, Arlington Court and Sunnymeade. Area #7. Riverview and Parklin Heights. Area #8. Starting at the entrance of W. Jackson Street down to the Jackson Street Playground and over to the Hercules Bridge. Area #9. Starting at Hercules Bridge all of Edgemont and Parrish Court Area. Area #10. All Idlewilde, Pitzer Ridge, and Rayon View areas of the City limit line.